Chloe Parker was born two centuries too late. 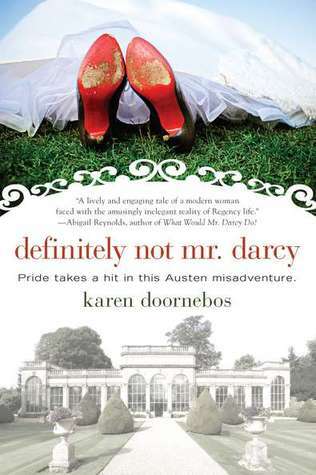 A thirty-nine-year- old divorced mother, she runs her own antique letterpress business, is a lifelong member of the Jane Austen Society, and gushes over everything Regency. But her business is failing, threatening her daughter's future. What's a lady to do?Why, audition for a Jane Austen-inspired TV show set in England, of course. This was a fun, albeit fairly predictable read. A retelling of Pride and Prejudice, of sorts. Chloe was thoroughly likeable. A few times her density got the better of me, but I was still rooting for her throughout. Grace was a standard villain. Of course, I loved Henry and couldn't wait for Chloe to wake up and see him. The writing was clear and engaging. I swept through this novel fairly quickly. A good few days in reality tv Regency Era.